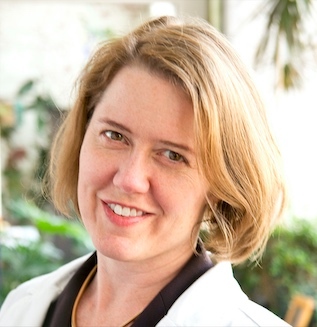 Amy Baxter MD FAAP FACEP is Chief Medical Officer and CEO of Pain Care Labs, founded in 2006 with the mission to eliminate unnecessary pain. She invented and patented VibraCool® Vibrational Cryotherapy to treat tendinitis and decrease opioid use, and her disruptive Buzzy® device has been used to control needle pain for over 31 million needle procedures. Federally funded for her work in needle pain management, she has published over 20 first author papers and textbook chapters and lectures nationally and internationally on health tech innovation, sedation, procedural pain management, the opioid crisis and needle fear and fatigue. A founding member of the Society for Pediatric Sedation, Dr. Baxter reviews for multiple scholarly journals, conferences, and national and international grant boards. To develop her neuromodulation pain reduction platform, Dr. Baxter was awarded a 1.1MM Fast-Track SBIR by the NIH. She wrote the patents for cooling and vibration utilization to decrease pain, and prepared and filed the FDA 510K submission for medical devices, securing the FDA expansion of the utilization to include muscle pain. Current research involves multimodal pain relief and the impact on distraction and empowerment on catastrophizing and pain. Speaking venues include Exponential Medicine, Bloomberg, Converge, AARP Life at 50+, TEDx and TEDMED. Her primary scientific contributions to date are the development of the hepatic enzyme algorithm to time child abuse, creating and validating the BARF nausea scale for children with cancer, and identifying the cause and consequences of the precipitous rise in needle fear. She has been named a Healthcare GameChanger, Healthcare Transformer, Wall Street Journal “Idea Person”, Most Innovative CEO of the Year by GA Bio, a Top 10 Disruptors in Medical Tech, and “Top Women in Tech to Watch” by Inc. She is currently developing a wearable DuoTherm Low Back pain reliever to accompany VibraCool Knee Pain and VibraCool Elbow Tendinitis Relief, and exploring regenerative implications of thermal and vibratory energy. She is also known for turning down Mark Cuban, Robert Herjavec, and Mr. Wonderful on Shark Tank.